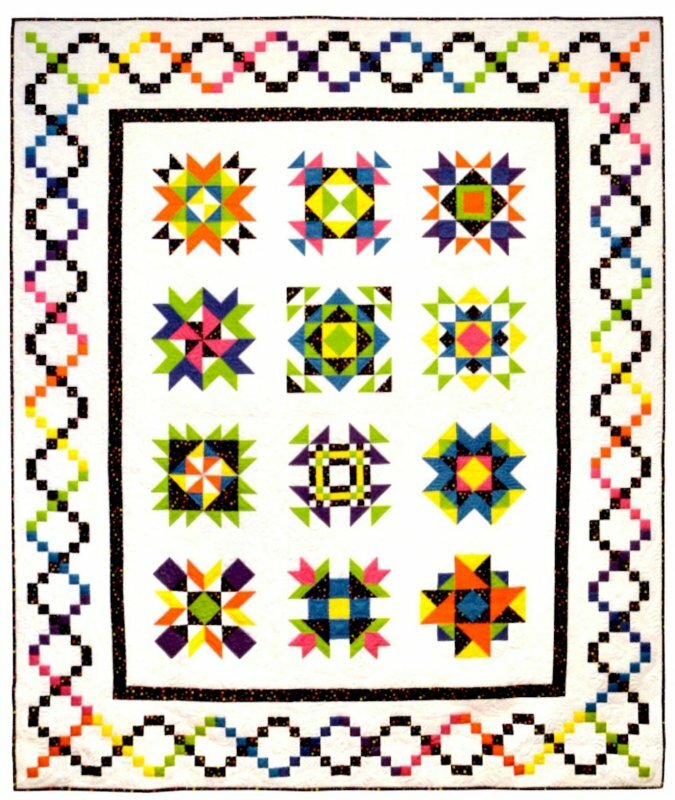 Finish kits available for Block of the Month programs that didn't have them included. 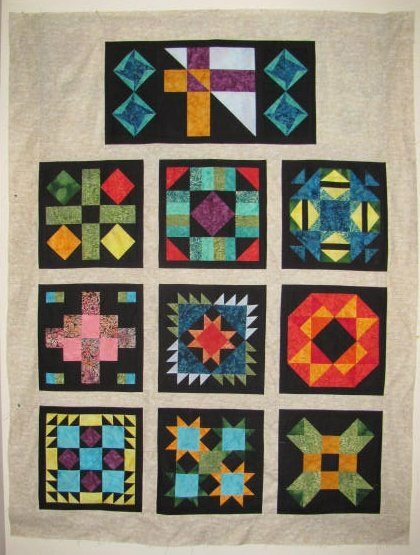 Looking for "old" Block of the Month programs that have closed? Find pictures of them here. Look what we've got planned for the next few months! Reserve your spot now, using the form at the bottom of the page - no obligation. 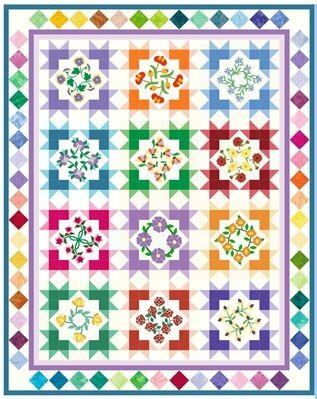 Sign up for the 2018 Free Block of the Month from Morning Glory Designs! 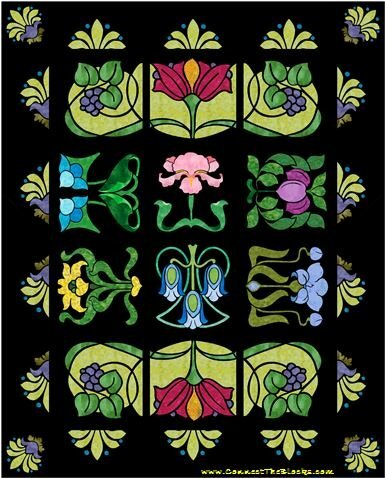 Evocative of the Art Nouveau period with the look and feel of Tiffany stained glass, Deco Gardens is a stunning design! 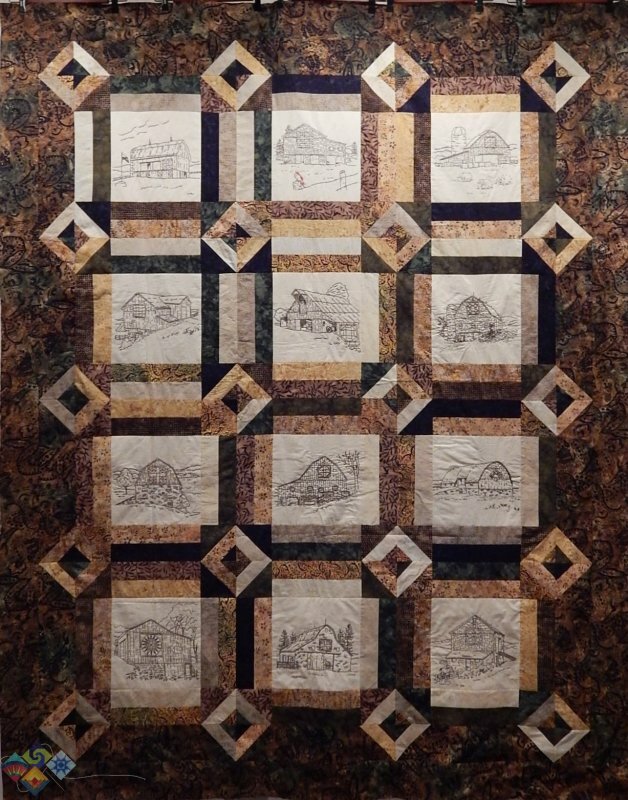 Don't you love "Grandpa's Barn Quilt"? View Large Image Steppin' Out! 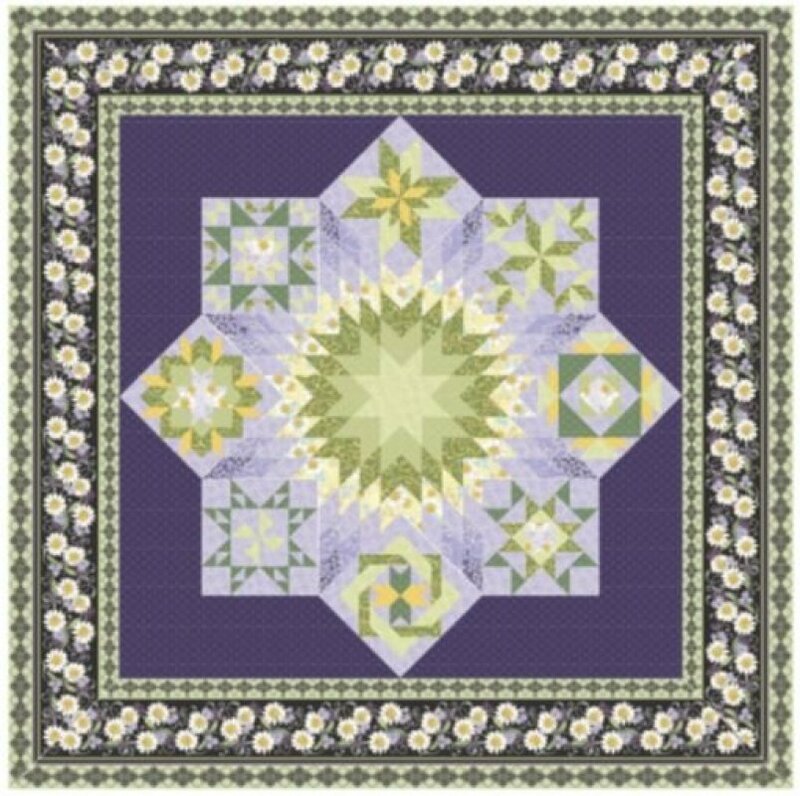 Add some sparkle to your life with our gorgeous "Sparkling Gems" quilt! 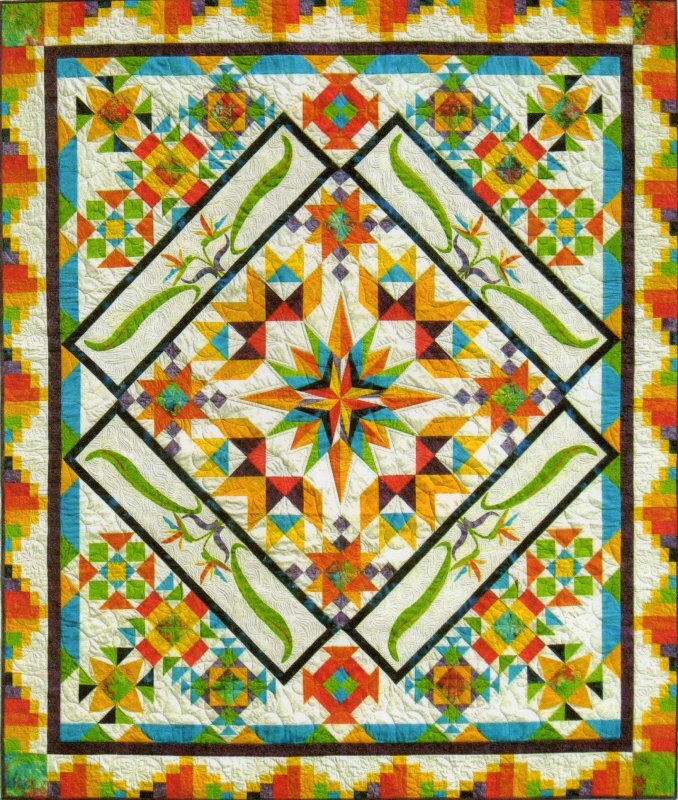 You'll have a blast putting together this bright, happy quilt from "By Annie"! 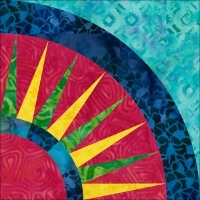 Tired of winter dreariness? Take an 11-month trip among the tropics to cheer yourself up! 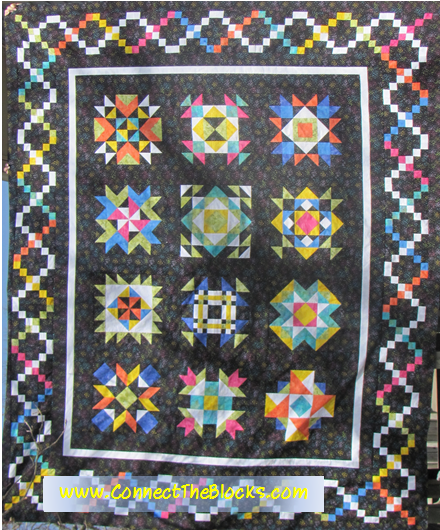 Block of the Month from Jackie Robinson and Benartex Fabrics! 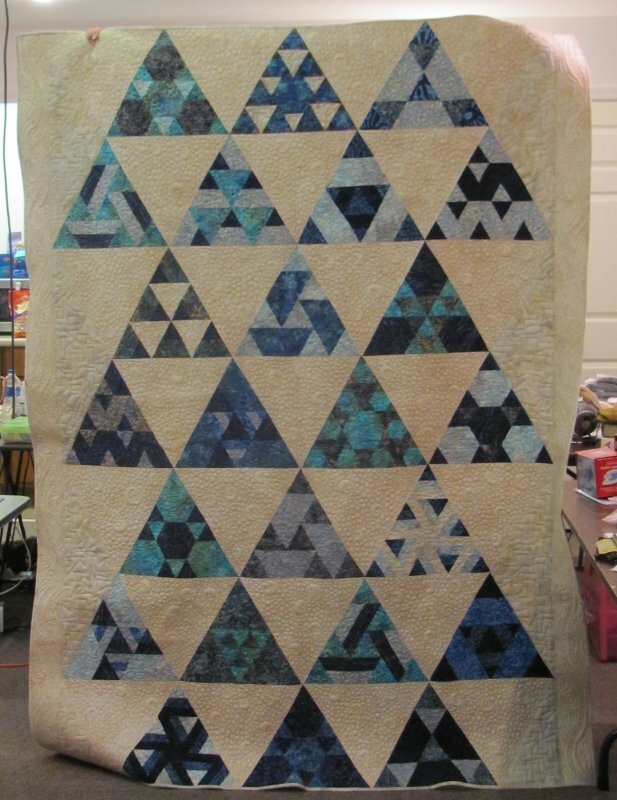 Calling all Redwork Lovers! 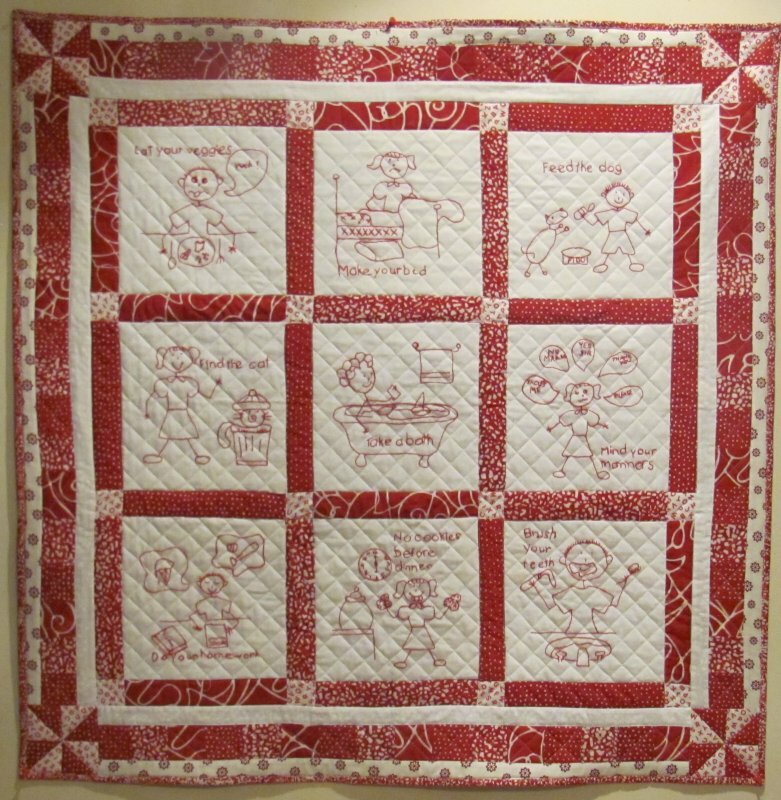 Weâ€™ve taken Eazy Peazy Quiltsâ€™ adorable new â€œMind Your Mamaâ€ pattern and broken it out into a Block of the Month program weâ€™re sure youâ€™ll enjoy. What a great gift for that special youngster in your life! Donâ€™t we all dream of putting our toes in the sand sometimes? 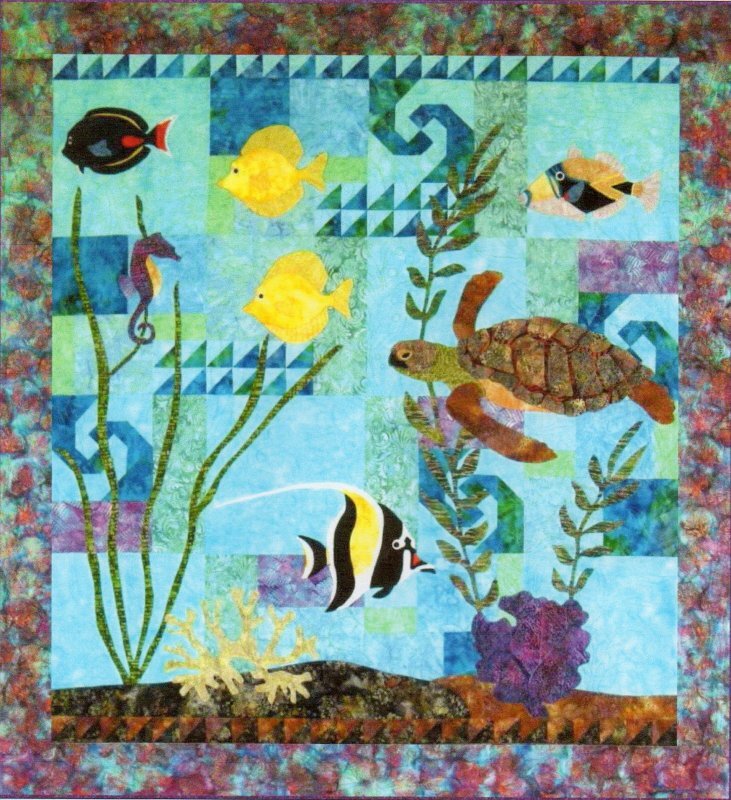 Join us on a beach-hopping trip up the California coast as we visit Jaybird Quiltâ€™s favorite beaches, making two blocks at each "stop".